I woke up quite late today with sore muscles. I don't know if it's extreme humidity or if I was actually tired. 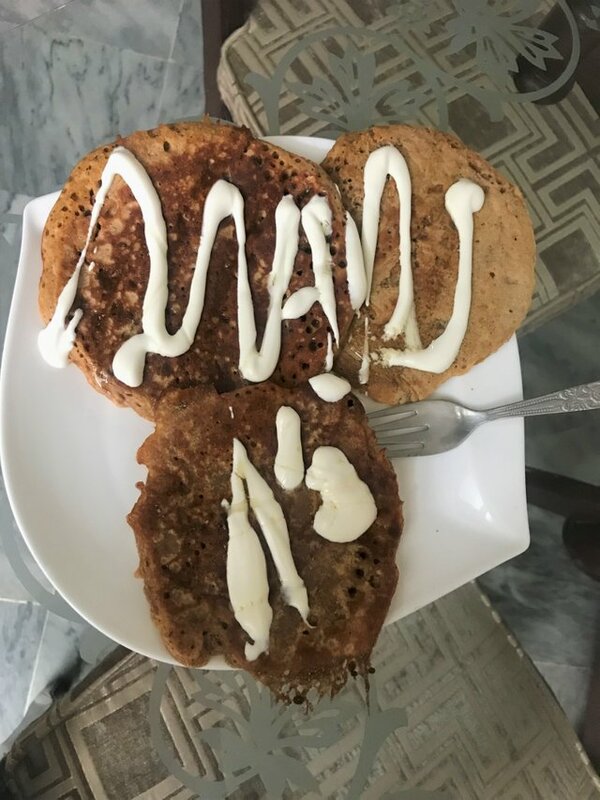 Nevertheless, I decided to make my favorite Sunday breakfast; Whole Wheat Pancakes with coconut cream and honey.